In an ideal world, we would always be able to use bilingual clinicians in health settings, however, this is not always possible. With multiple languages spoken around the world, and as individuals relocate or emigrate to new countries, the use of professionally trained interpretation services in health settings is increasingly necessary. When your patient has difficulty with speaking, reading, writing, or comprehending the language their level of care can suffer. Studies show that LEP patients have less access to health care and are less likely to have preventative physician visits. According to various studies, “Do Professional Interpreters Improve Clinical Care for Patients with Limited Proficiency? A Systematic Review of the Literature“, professionally trained interpreters are associated with improvements in the care of LEP patients. Often times professional interpretation is unavailable. In these cases, an ad-hoc interpreter is occasionally used to bridge the communication barrier. Ad-hoc interpretation unfortunately is less consistent. While the use of family, friends, or multilingual staff is extremely beneficial, problems can still arise. However, there will be times when a patient insists on using a friend or family member for interpretation. There can be both benefits and disadvantages to using family members for interpretation. For example, a family member may have a better insight into a patient’s symptoms. Likewise, to the disadvantage, a symptom may be disregarded or withheld for some reason. It is also important to understand that the language proficiency of an ad-hoc interpreter is not always consistent therefore, a health care provider cannot be assured that information is correctly conveyed. When possible, it is beneficial to have a professional interpreter stand by to observe if a patient requests a family member to interpret for them. Depending on the situation, location, budget, and need interpreters can be in person or remote. While in-person interpretation is preferred, remote interpretation services may be the only option. Likewise, there are varying modes of interpretation (consecutive, simultaneous, summarizing, etc.) which all depend on the situation at hand. 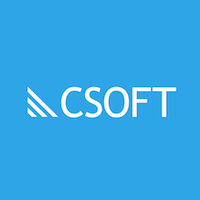 Are you looking to learn more about CSOFT International’s interpretation services? Visit our website www.csoftintl.com or contact one of our specialists today.